TEAM STRONG GIRLS Biweekly Progress – Carey H.
Weight Training 4x/week with 3 short HIIT sessions/week, plenty of food flexibility (and carbs), and enjoying the Christmas Holidays with family and loved ones resulting in 46 lbs (!!!) lost to date. Wowzers. 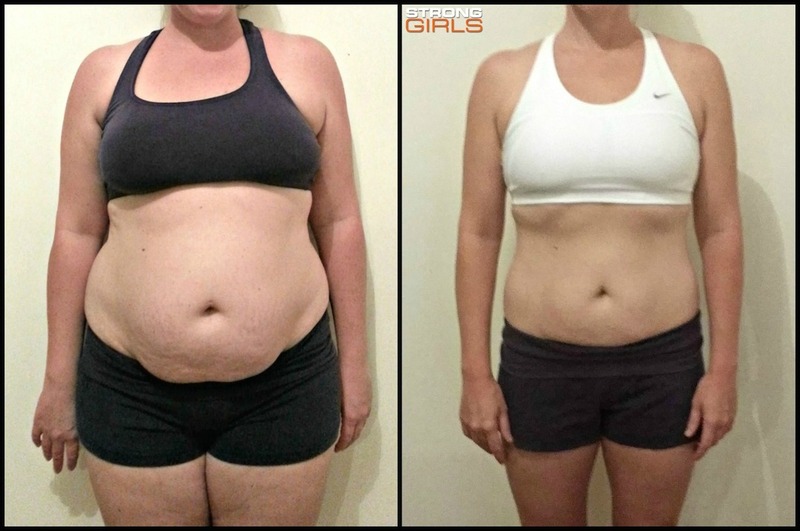 Even better, this STRONG MOMMY from Australia has shredded an insane 14 inches around her belly button and 9 inches off of her hips…and she’s still going strong with a healthy, flexible, and sensible (and SANE) approach to Dieting. So proud of you Carey! I can’t wait to show off more of her progress!